Jan came to Tennessee from Newtown Square, Pennsylvania, to attend Maryville College, where she graduated with a degree in Political Science. After graduating, she worked in Germany for two years for the American National Red Cross. She returned to Tennessee where she received the M.A. and Clinical Doctorate in Audiology at the University of Tennessee. She served as director of Speech and Hearing Services and Director of Children’s Special Services for the East Tennessee Regional Public Health Department. She joined the clinical faculty at the University of Tennessee Department of Audiology and Speech Pathology in 1991 and served as a Clinical Supervisor in Pediatric Audiology until she was promoted to Audiology Clinic Director. Dr. Dungan organized Appalachian Audiology in 2008. Certified by the American Speech and Hearing Association, Dr. Dungan is a Fellow with the American Academy of Audiology. Dr. Dungan served on the Board of Directors of the American Tinnitus Association. She was the guest editor for the August 2014 edition of ATA's publication Tinnitus Today. For more information on the American Tinnitus Association, click here. Dr. Dungan is the widow of Attorney Charles Dungan. They have a blended family with four daughters: Susan Eby, Carrie Mills, Stephanie Ebuna and Elizabeth Crosby. These four women have graced the family with four multi-talented and hilarious grandchildren and extraordinary sons-in-law of various talents, each essential to the greater good of the world and the family. 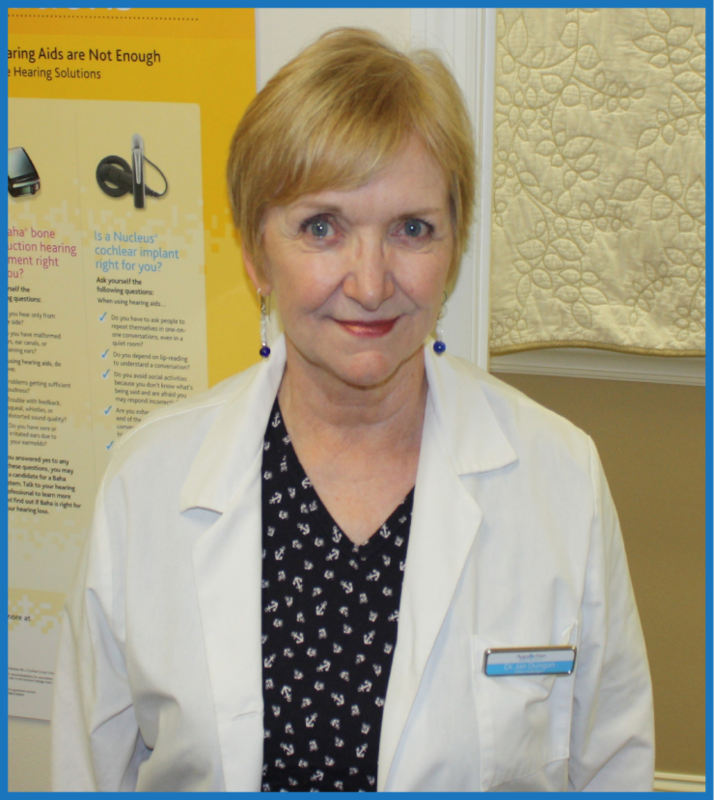 Find out more about Dr. Dungan and why she chose to enter the field of audiology.